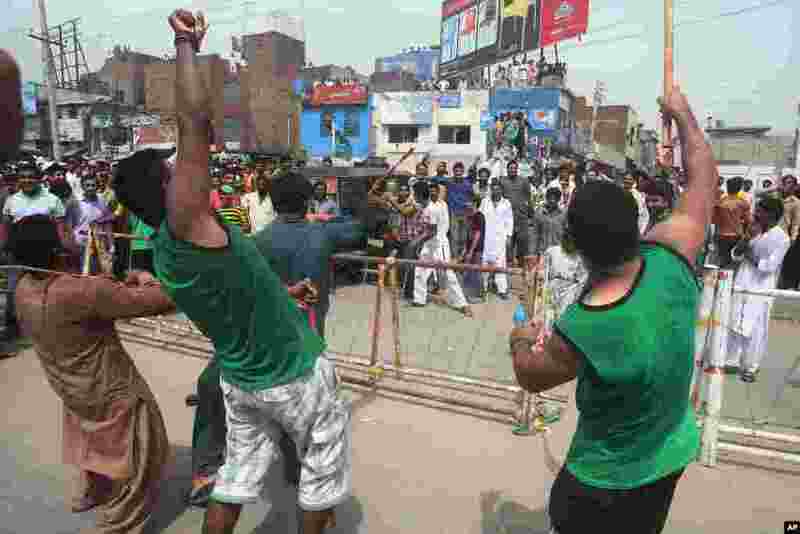 1 Supporters of Pakistan's cricketer-turned-politician Imran Khan, in green shirts, clash with supporters of the ruling party in Gujranwala, Pakistan, Aug. 15, 2014. 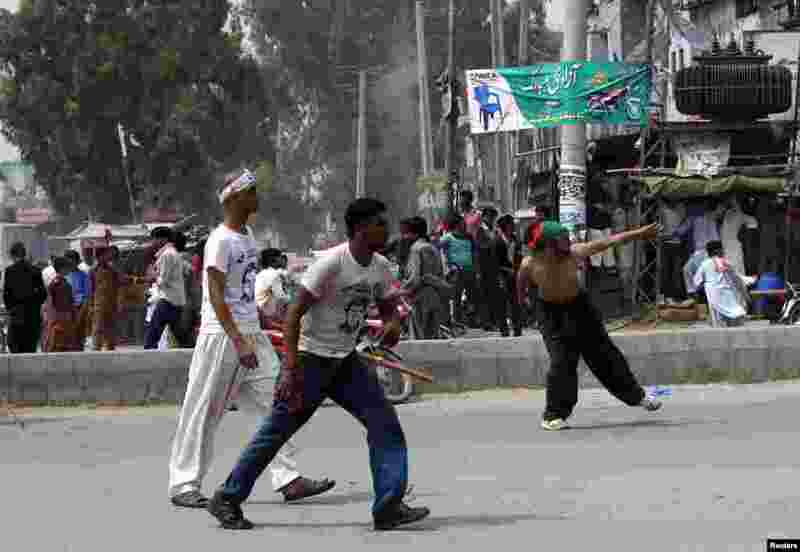 2 A supporter of Pakistan's ruling party throws a rock at the procession of cricketer-turned-politician Imran Khan in Gujranwala, Pakistan, Aug. 15, 2014. 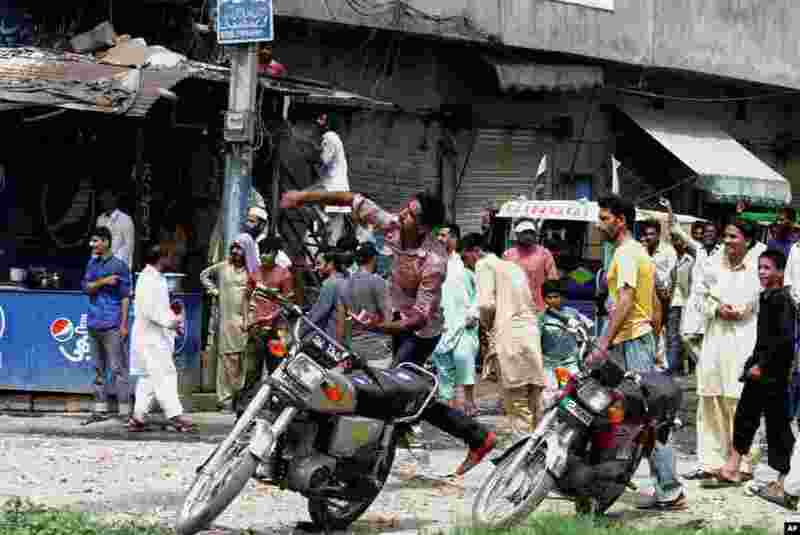 3 Clashes broke out between supporters and non-supporters of politician Imran Khan, with both parties throwing rocks at each other, at the Freedom March, in Gujranwala, Aug. 15, 2014. 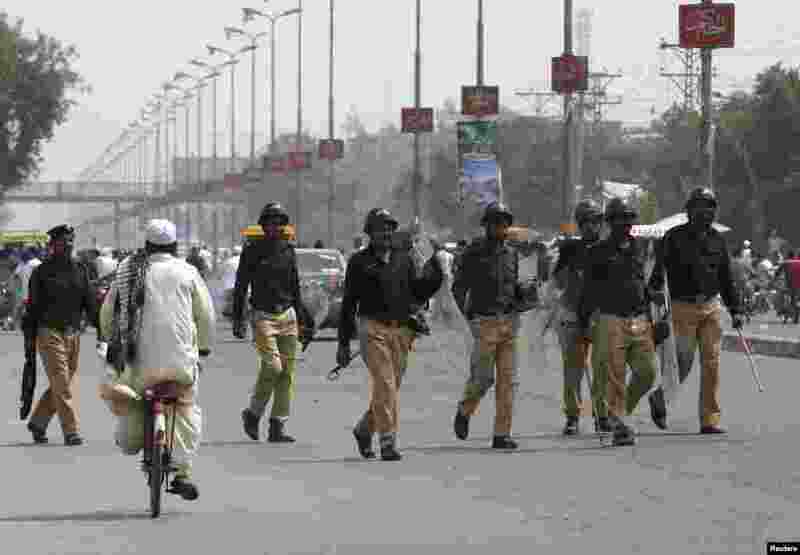 4 Policemen move to disperse residents after they threw stones at participants of the Freedom March, led by cricketer-turned-opposition politician Imran Khan, in Gujranwala, Aug. 15, 2014.